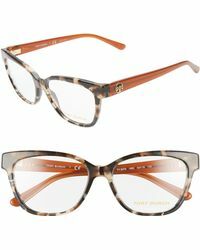 Rapidly becoming an iconic logo is the simple T in a Tory Burch accessory. 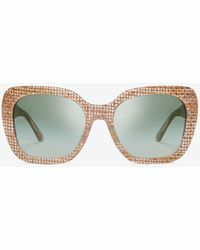 Since launching in 2004 and being endorsed by Oprah Winfrey a year later, Tory Burch has been reaching the upper echelons of opulence all the while pushing design boundaries to a new level. 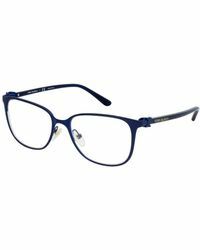 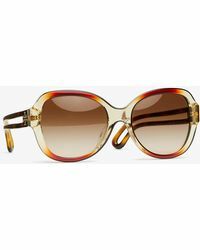 Epitomizing her contemporary chic vibe is the Tory Burch eyewear collection. 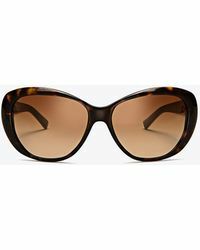 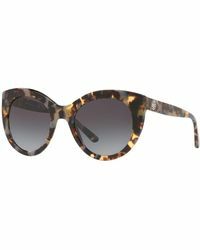 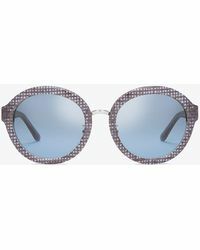 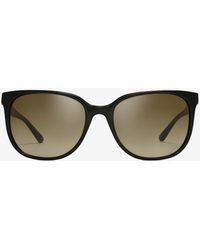 From retro-inspired cat eye rims to polarized aviators, a pair of Tory Burch shades will immediately separate you from the herd all the while providing comforted protection from ultraviolet rays.